With DIY gardening on the rise, reaching consumers with your lawn and garden display is critical, especially during the warmer months of the year. These displays are traditionally associated with hassle resulting primarily from their seasonality. They must be set up efficiently and quickly. They must handle a constantly rotating set of merchandise. They must facilitate easy storage in the off season. 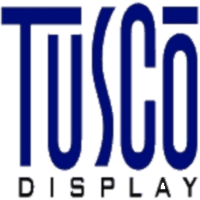 Tusco's custom displays result from years of industry experience and are just as practical and nimble as we are. We work directly with you to identify your display needs and build quality solutions that look, function and stow away as needed. They can accommodate changing inventory as well as the moisture, dirt and sun exposure that lawn and garden displays need. What do you need to look out for, and what sets us apart? Our in-house manufacturing is just one way we help reduce costs and fabrication limitations resulting from extensive transportation, and it's powerful. Our design and manufacturing teams can speak to each other without having to worry about time zone differences and lag. We also focus on making sure it's easy for you to move product through your displays, ensuring that handling is simple regardless of who's doing it. Our heavy-duty displays can withstand transportation and storage. A garden or lawn display gets most of its use during the warmer months of the year, meaning it needs to be designed and manufactured to withstand storage out of season. Tusco has years of experience making collapsible displays that occupy smaller storage space and are easy to reassemble. Our products are engineered to be durable over multiple seasons, so you can depend on the finished product. These custom displays are also flexible, to accommodate an evolving product array and handle your changing needs over different seasons. We directly manage the production of wire tubing, sheet metal and powder coating to ensure your finished product is up to your specifications. Our efficient in-house manufacturing options give a speed advantage with less damage and more reliability.